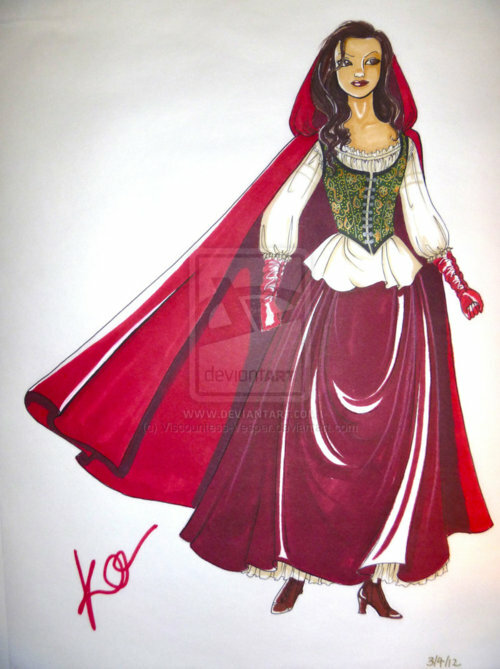 Red Riding हुड, डाकू. . Wallpaper and background images in the वन्स अपॉन अ टाइम club tagged: once upon a time season 1 red riding hood drawing art. This वन्स अपॉन अ टाइम fan art might contain overskirt, ओवरस्कर्ट, एक प्रकार का नाच, पोलोनीज़, kirtle, and कीर्टल. This is cool! I love her outfit!